THE family of 21-year-old former Coast student Stuart Reddan who was tragically killed in an Army training exercise yesterday has broken its silence, paying tribute to the young Trooper from the 2nd/14th Light Horse Regiment. 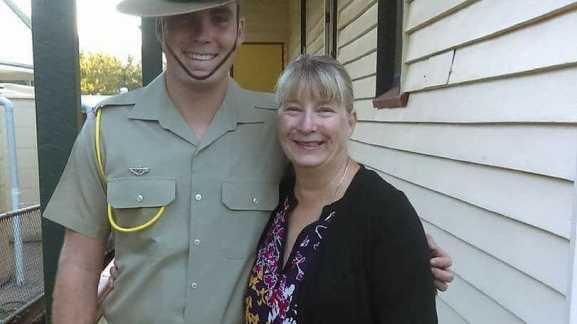 The former Mountain Creek State High School student joined the Army cadets at the age of 14 and his family said he "died doing what he loved". We are unbelievably saddened by the loss of our son and brother, Stuart Reddan, during an Army training exercise at Shoalwater Bay Training Area yesterday. We will always remember Stuart as a charming, happy, fun loving young man. He died doing what he loved. Stuart was very, very passionate about being a soldier and he loved every moment in the Army and his mates. Stuart joined the Army cadets when he was 14 and was proud to serve his country. We would like to thank everyone for their loving words, their happy memories of Stuart and their support. We would also like to thank the soldiers who provided first aid to Stuart and were with him at the time. We send our heart felt thanks out to these soldiers. We know you did your best to save him. We understand the media's interest in Stuart, however, we ask that you respect our privacy at this difficult time. Defence Minister Senator Marise Payne also paid tribute to the young soldier. "It is at times like this we are reminded of the great commitment that is asked of our servicemen and women and their families, and the cost that is borne by them, not only on the battlefield but also while undertaking the demanding training activities that prepare them for operational service," Sen Payne said. "I extend my deepest personal sympathies and those of the Government to Trooper Reddan's family, his friends and the ADF community." 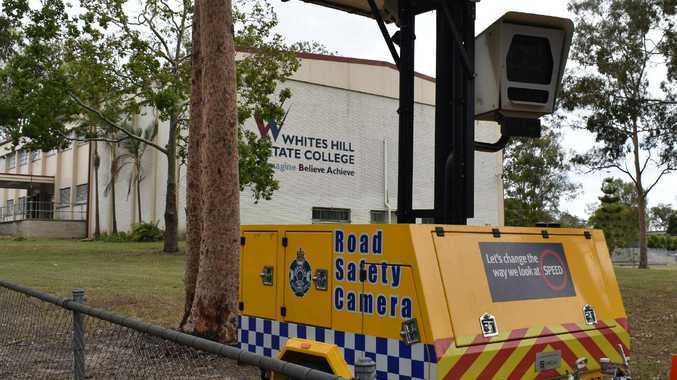 UPDATE 1.10PM: THE PRINCIPAL of Mountain Creek State High School Andrew Stone has formally paid tribute to a former school captain, who was killed unexpectedly yesterday. 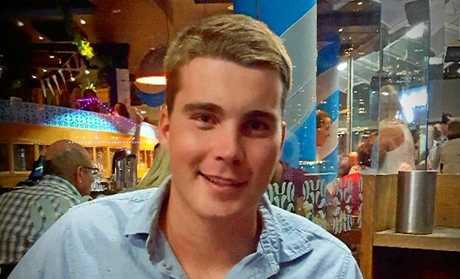 Twenty-one-year-old Stuart Reddan was killed during an Army training exercise at Shoalwater Bay, near Rockhampton, yesterday morning. He died after a tree branch fell on the armoured personnel carrier he was travelling in. MOUNTAIN Creek High principal pays tribute to former student Stuart Reddan: Mountain Creek State High School senior school principal Andrew Stone pays tribute to Stuart Reddan. "The Mountain Creek State High School community is deeply shocked and saddened by the death of one of our former students, Stuart Reddan," Mr Stone told the media this afternoon. "Our deepest sympathies go out to his family, friends and loved ones during this difficult time." Mr Stone said the high school will provide support to students and staff affected by Stuart's tragic death. "Support will be provided to students and staff, and guidance counsellors will remain at the school to provide support in any way that they can, for as long as it is needed," Mr Stone said. MOUNTAIN Creek State High School senior school principal Andrew Stone says the school is "deeply shocked and saddened" by the death of one of its former school captains. A school captain at Mountain Creek in 2013 and 2014, Mr Stone said Stuart had been elected "overwhelmingly for his ability to lead quietly by example". "He will be remembered by all of us as a hardworking, generous and enthusiastic young man who gave great service to his school, community and country," Mr Stone said. Mr Stone said Stuart had taken "enormous pride" in hosting key ceremonies, including Anzac Day, and had completed high-standard trade qualifications during his time at the school, but his "greatest passion" was music. The talented trombonist performed in some of Queensland's most prestigious school events. "Stuart was generous, kind and softly spoken. He will be sorely missed and forever in our thoughts," Mr Stone said. TRIBUTES are flowing on social media for a 21-year-old former Mountain Creek State High School student who was killed during an Army training exercise near Rockhampton. Friends and relatives have taken to Facebook overnight to pay their respects to Stuart Reddan, the young soldier who died yesterday after he was struck by a falling tree branch which fell on the armoured personnel carrier he was travelling in at Shoalwater Bay about 8.20am. "Words cannot even comprehend the pain of losing a good friend," Hannah Smith wrote. "I just can't believe it. Stuart Reddan, you were one in a million. Kind to everyone, put others before even thinking about yourself. I'll forever cherish you walking me home so often and all the laughs we'd have along the way." "Today I had to say goodbye to my baby brother Stuart Reddan. I miss you like crazy bro and wish you were still here with me. Rest In Peace My Brother," Tom Reddan wrote. Georgia Riley described him as a "caring, gentle and honest man" who was living his dream in the Australian Defence Force. The ADF confirmed fellow soldiers had attempted CPR and paramedics were called but Stuart died at the scene. It's believed he had been travelling in an M-113 armoured personnel carrier when tragedy struck. His family had been informed, the statement advised yesterday.